Spring is already here and it’s time to welcome it in our garden! The best way to do it is to come up with new outdoor decorations that will make this wonderful season even better looking, which in return will make your garden the best place for rest and relaxation. 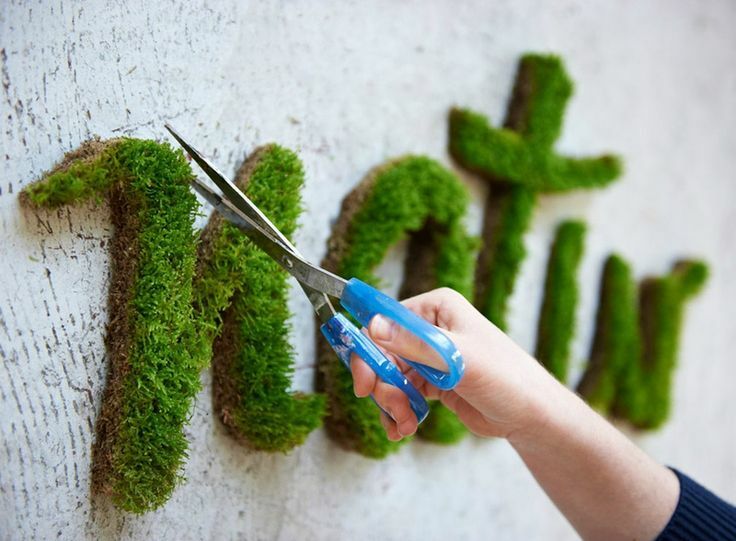 In this article we are presenting you ten DIY projects – some of them will take you minutes, others a day, but the truth is that all of these are so adorable and budget – friendly, that most likely you’ll end up wishing you had more than one of these decorations in your garden! The cinder blocks might not be anything but a building material, however if you look on it creatively, you can see many things to be done here! 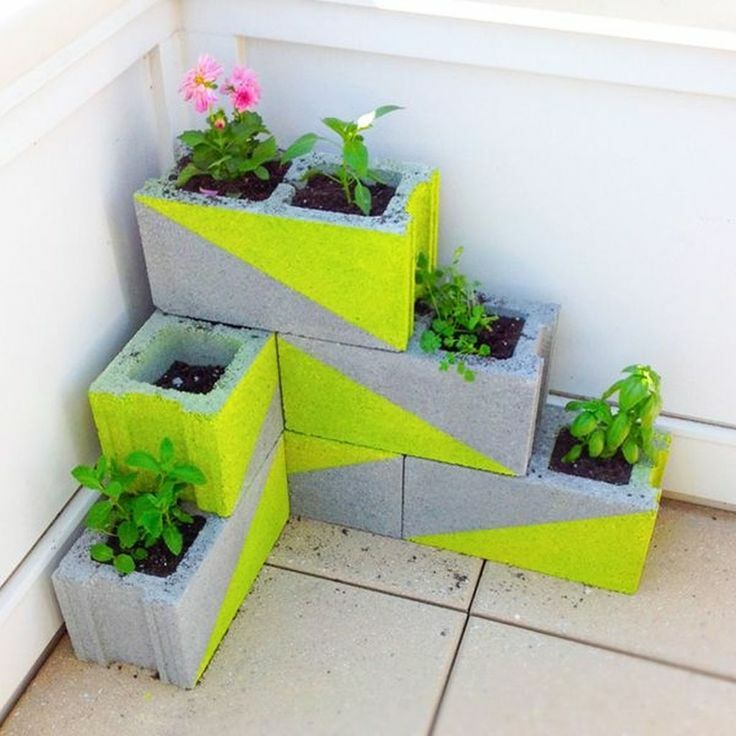 For example, you can use the cinder blocks as your new garden planters and in order to make them pretty, you can paint them all or just paint something you’d like – see how this neon shapes look amazing! Kids love doing projects with beads, so this project is really kid – friendly and it’s the perfect way to some quality family time. 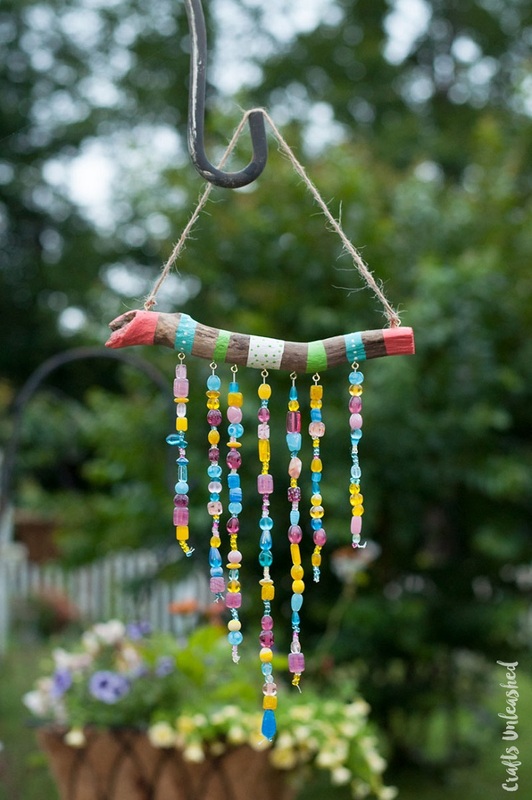 Most of the outdoor decor is all about plants and lights, but the wind chime will actually decorate your tree. For this project, you need driftwood pieces, craft paint, glass beads, painter’s tape, jute, small gold eye hooks and white beading thread. Don’t throw away bottles – they can instead be used for creative projects that will make any room or garden prettier! Plus, you protect the environment by creating eco – friendly crafts. There are tons of projects to consider, but we’ve chosen this one because it’s really unique. 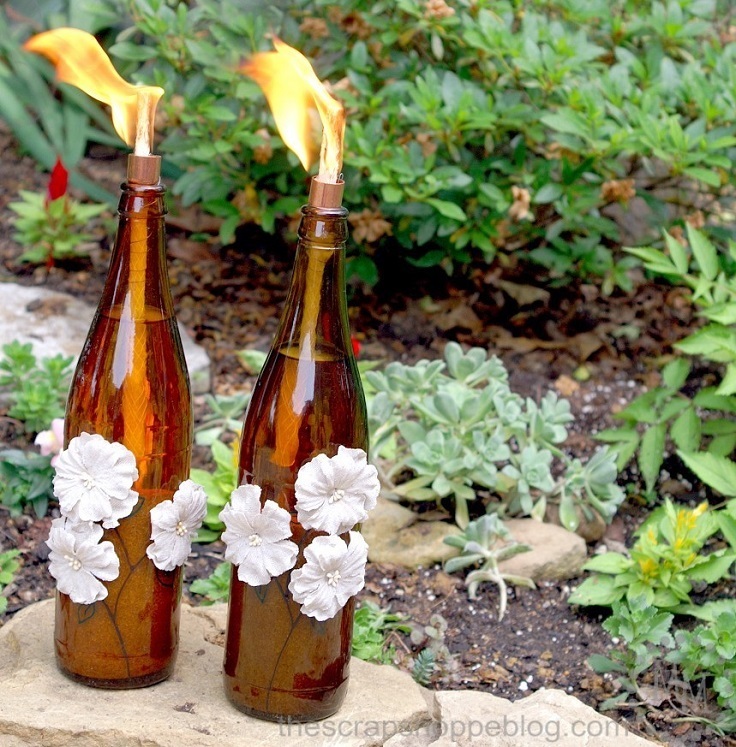 To turn your old bottles into tiki torches, you need glass bottles, sand, wicks, torch fuel and copper couplings. Moss graffiti? Yes, please! In case you haven’t heard about this, it’s really easy to come up with this project. First, you need to collect some moss from an already established patch or you can also buy it. You will also need two other ingredients – beer and sugar and from materials you need recycled plastic container with lid, blender, paintbrush and stencil with your design. Check out the link below for more information. 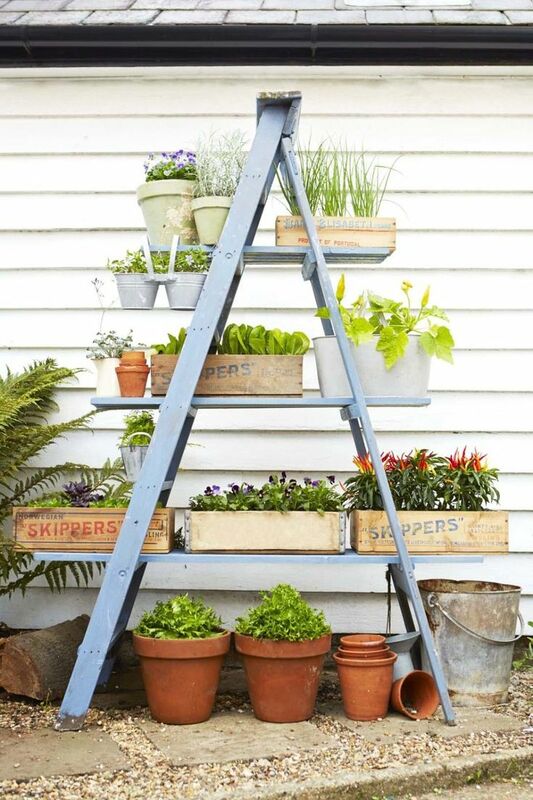 One of the easiest ways to decorate your garden, no matter how small it is, is to create your own ladder garden. This is super easy project for which you won’t need any help and it requires just a small amount of money – not to mention that you can do it in one day! 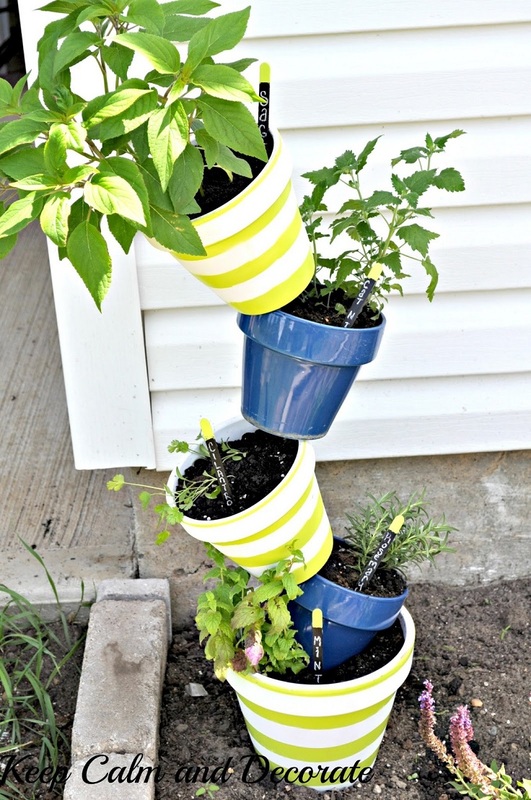 Just take an old ladder and paint it with color by your choice and place plants on it. 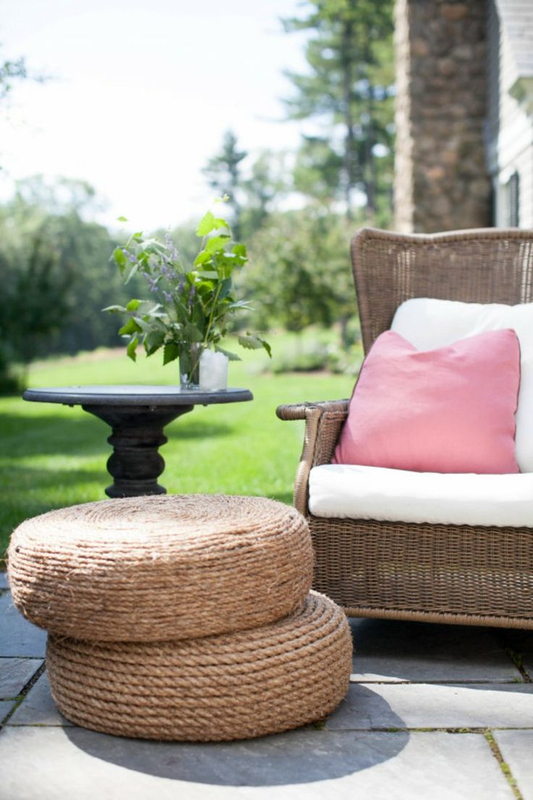 Rope ottomans are the perfect addition to your garden furniture. They look chic and would perfectly fit a rustic garden, but any other would do as well. This is another great eco – friendly project, as you will use an old tire as your ottoman chair. Other materials that you also need are sisal and nylon rope, hot glue gun & glue sticks, scissors, sealers and paint brush. This one is an already well – known eco – friendly project, but it’s just so good that it’s worth the mention. You help the environment, while at the same time you also decorate your garden by adding a new, beautiful planter for your flowers. Besides the old tire, you will also need paint in order to make the old tire pretty. After it’s done, just place inside your planters. Herbs are easy to grow and many people choose to do it in their own gardens, despite the fact they can easily purchase it. Growing herbs can give you the chance to experiment with your creativity and make your own herb garden! To make things even more interesting, you can go for a stacked garden – it will take you some time, but you will love the result! Who can resist a small cacti garden? 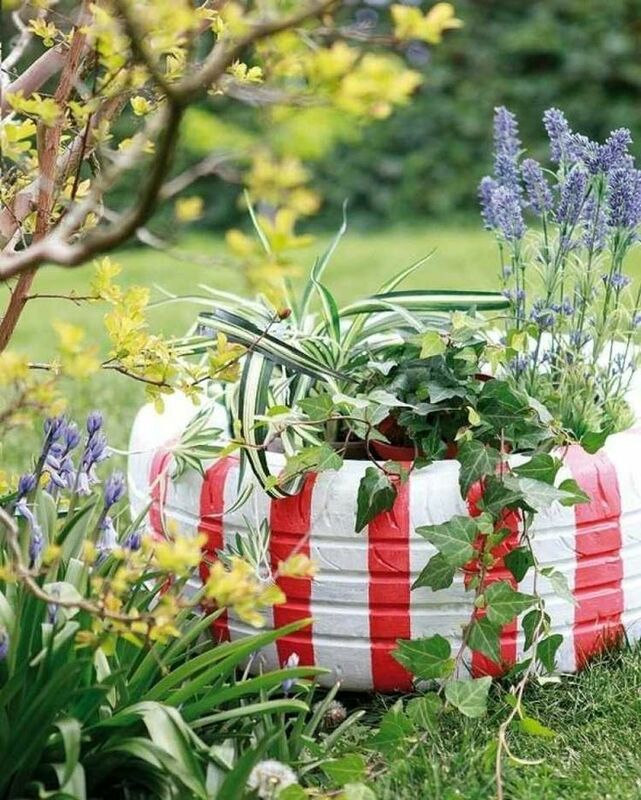 It’s cute and portable, which means you can place it anywhere you want in your garden. 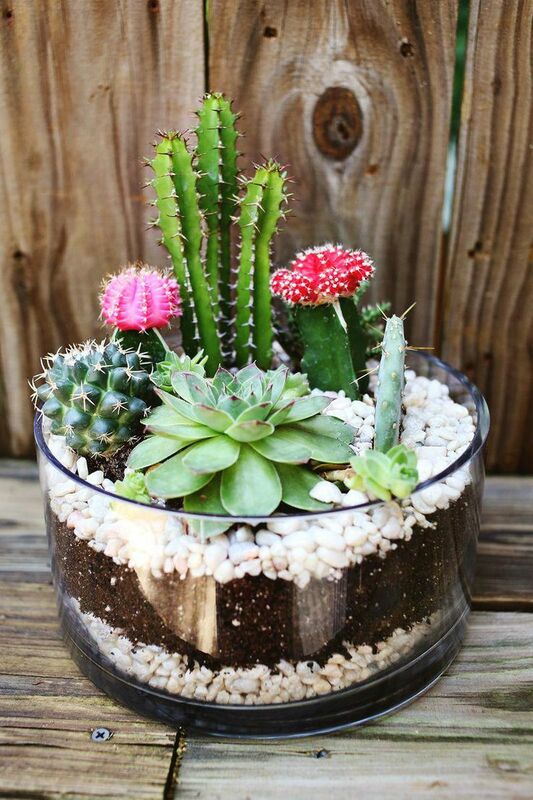 For this project, you need wide, shallow vase, soil, rocks, cactus plants by your choice and a shovel. It will take you minutes to come up with this project and you’re going to be amazed by the result! Let’s face it – it’s a nice DIY gift idea as well. There’s nothing better than spending the warm nights in your garden, sitting comfortably and enjoying the surrounding, while the whole place is lit by cute lanterns. 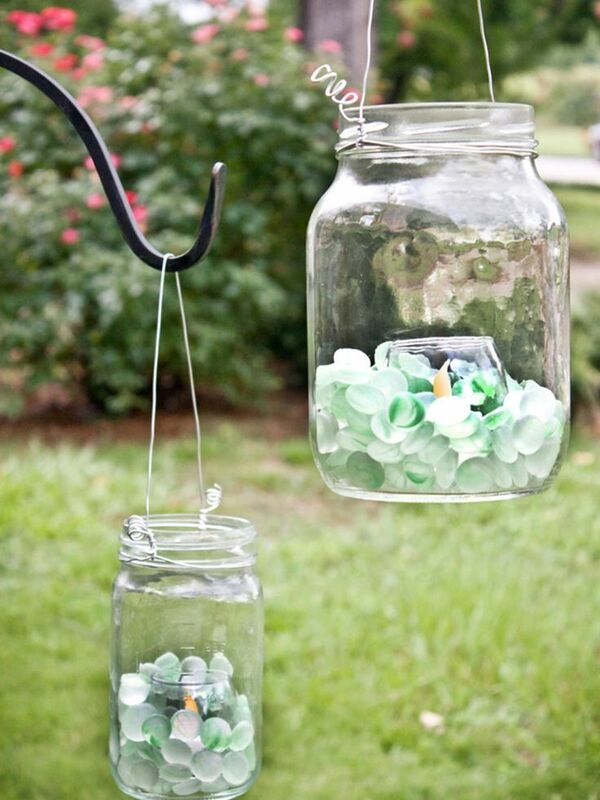 Here’s where the old mason jars come in hand – they can be the best lanterns ever! All you need to do is to clean them well, fill them inside with pebbles or similar decor and add a votive holder in the center.